Carrie Sommer just sent this to me. It's from the July issue of Country Living. 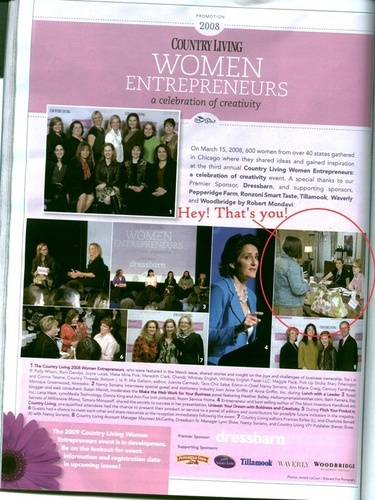 That IS me... presenting my Millie Fleur to Country Living editors in March at the CL event!!! PS no word yet on whether I'll be featured.